The new small SUV from DS is conquering the market. After a short teasing, DS finally lifts the veil on its second "pure" offering, i.e. not one derived from Citroën when DS was still a model line and not its own brand. Following the DS 7 Crossback, it's now the DS 3 Crossback's turn to show its face for European-market shoppers. Not surprisingly, this is a compact-segment SUV, one of the most popular sectors for Euro customers at the moment. Aesthetically speaking, the DS 7 Crossback has a certain filiation with the omnipresence of chrome elements, especially on the top-of-the-range version presented here. The headlamps on the front adopt a rather particular and rather complex shape, while the taillights have been designed in a horizontal way with a band crossing the stern to join them – an aesthetic element that is definitely in vogue at the moment. The detached bodywork on the rear doors is another element that's original, to say the very least. This pays homage to the small DS 3 three-door coupé, but let's say it suits that DS variant a little better. For those who might wonder, yes the rear windows open well despite the absence of visible window lickers in the lower part. Another interesting element is the flush door handles, not unlike what we see on the Tesla Model S and Model X. From the back, the fascia is split into a somewhat large diffuser similar to the Jaguar E-Pace, and the taillights are reminiscent of the rear optics found on the Maserati Levante. There are certainly worse vehicles the new DS could resemble, and the designers' work is quite remarkable overall considering the complicated nature of some of the body lines. 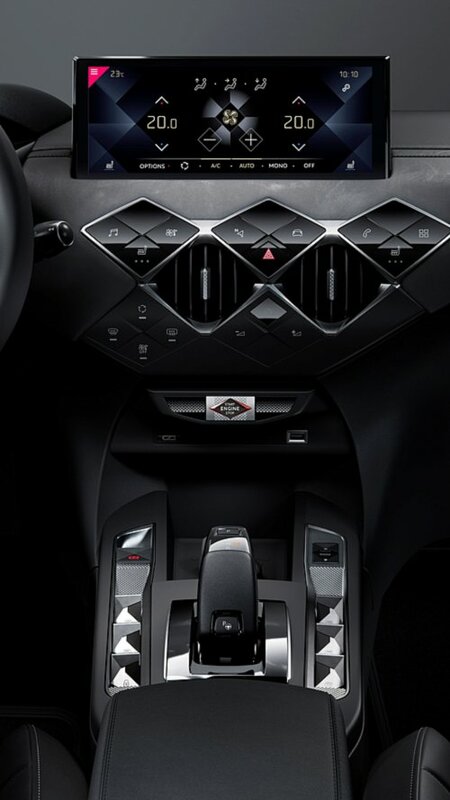 The development of the Crossback's CMP platform at the same time as that of the car was also an advantage for the designers, allowing them to work with a familiar shared platform. Speaking of which, that platform gives the DS 3 Crossback rather compact measurements, specifically 4.12 metres in length, 1.79 metres wide, and 1.54 metres tall. Inside, we find a completely new greenhouse, one very largely inspired by the DS frame. 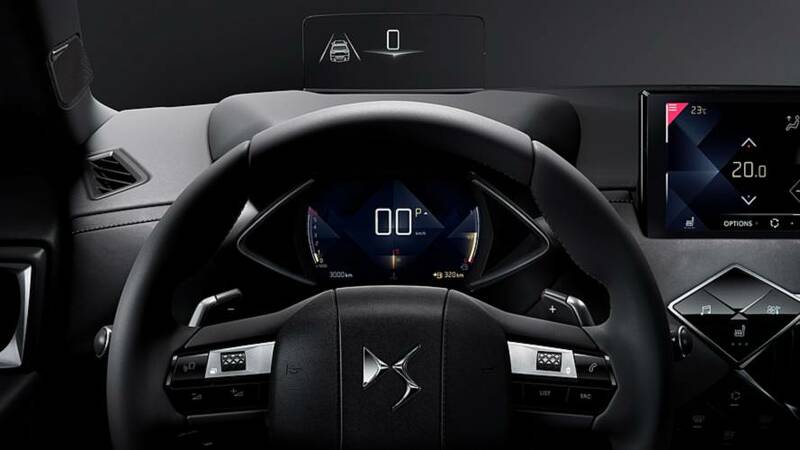 The DS 3 Crossback comes standard with a digital instrument cluster, with a 10.3-inch centre screen (the largest in its class) mounted atop the centre console in the highest trim levels. The cargo volume in the rear checks in at 350 litres. We regret the absence of the DS Night Vision option on the DS 7 Crossback, but the DS 3 does get a level-two semi-autonomous driving system. 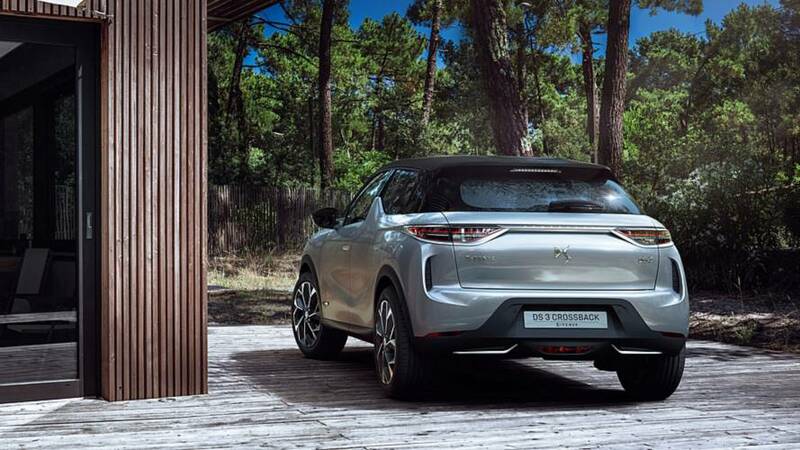 The DS 3 Crossback is based on the CMP platform (Common Modular Platform) and its e-CMP derivative, which will be found on a fully electric variant. 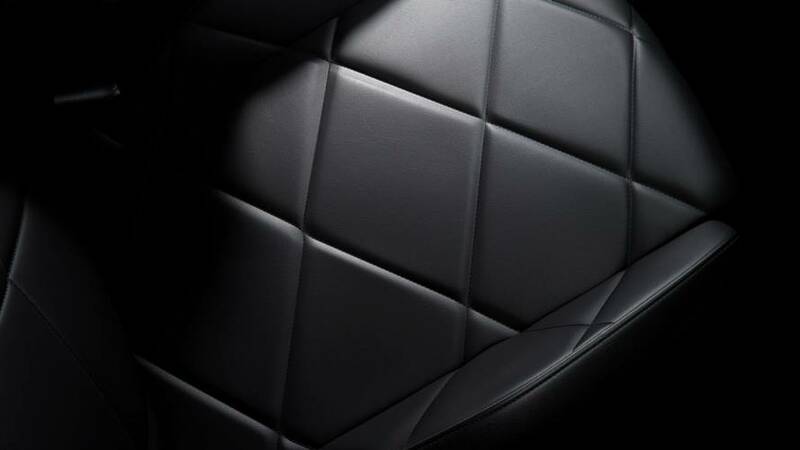 This platform will be used on other models in the range, notably on the future Peugeot 208. 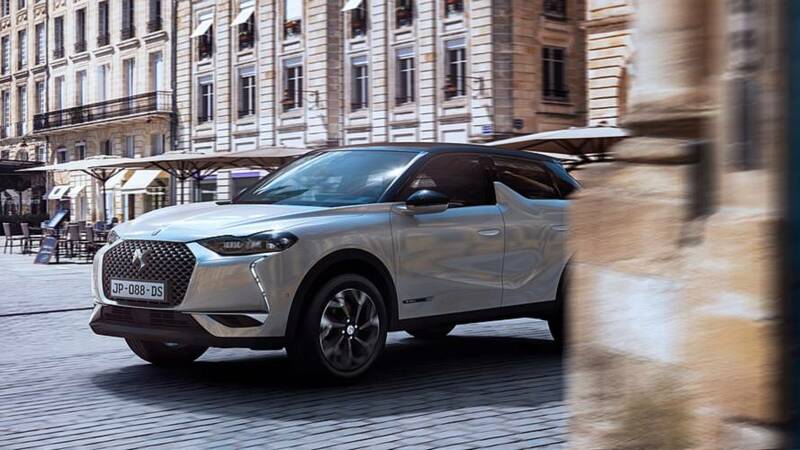 In terms of engines, DS will offer three petrol mills derived from the 1.2-litre PureTech three-cylinder, with available power ranging from 100 bhp, 130 bhp, and 155 bhp. A diesel option is also available in the form of a 1.5-liter BlueHDI producing either 100 bhp or 130 bhp. 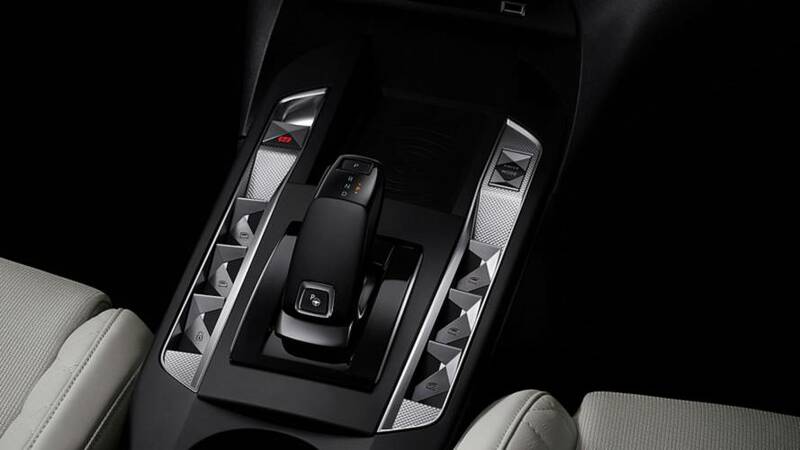 Power will be routed to all four wheels through either a six-speed manual transmission or the new eight-speed EAT8 automatic. The big surprise is the arrival of a fully electric version that will debut even before a hybrid model. 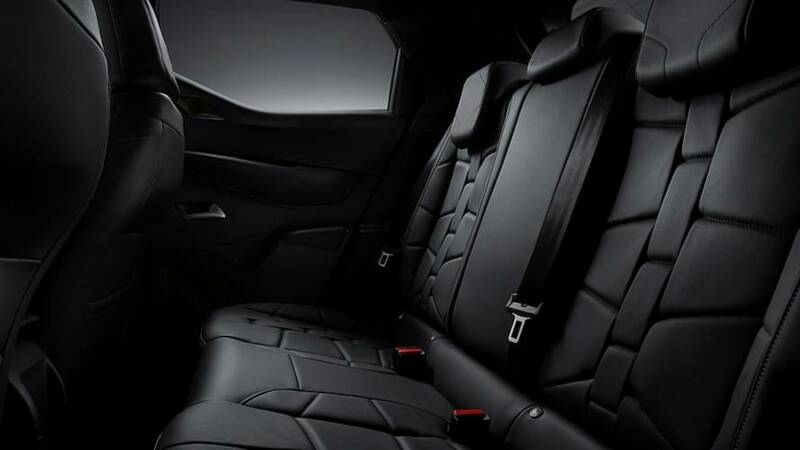 Named DS 3 Crossback E-Tense, it's equipped with an electric motor developing 136 bhp and 191.7 pound-feet of torque. A 50 kWh lithium-ion battery powers the system, which can be charged via energy recovery during braking or deceleration, or a fast terminal recharge (up to 100 kW, which allows batteries to be recharged to 80% in 30 minutes). Other charging options include a wallbox for 7 hours of charging in single phase and 5 hours in three-phase, and on a conventional domestic socket which takes about 20 hours for a full battery. 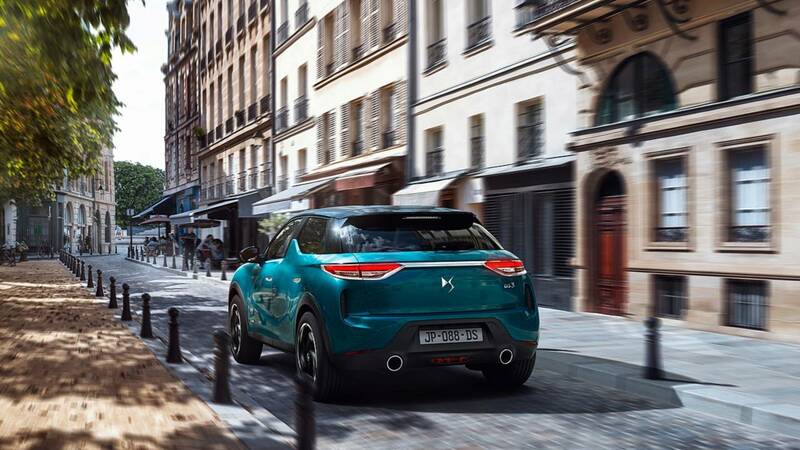 Approved under the WLTP cycle, the DS 3 Crossback E-Tense advertises a range of 186 miles. Debuting to the public at the upcoming Paris Motor Show, the DS 3 Crossback will be available at European dealerships in spring 2019. Folks will have to wait a bit longer for the fully electric version, which is slated to arrive next winter. The hybrid model is even further out, with an expected arrival taking place in 2022. Pricing for all models hasn't yet been released.